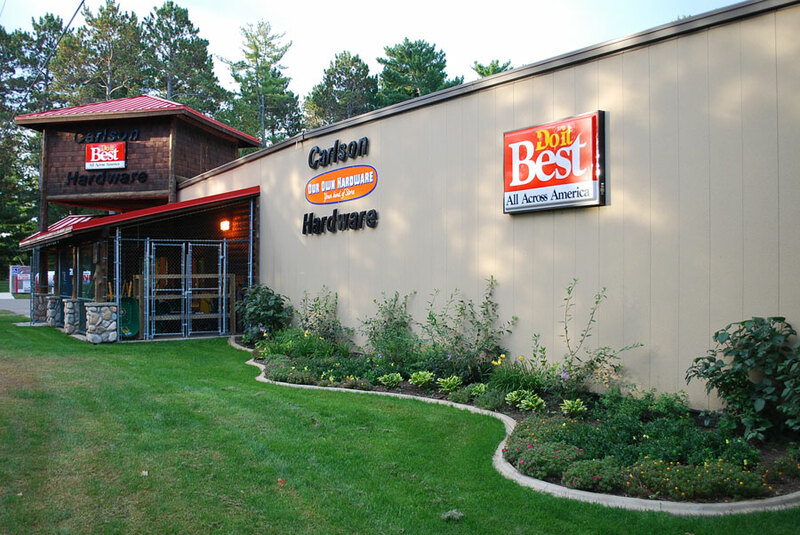 We are located at the north end of Main Street in beautiful Nisswa, Minnesota. We are locally owned and operated with over 30 years experience in the hardware business. We have a friendly, knowledgeable staff willing to help you with any projects. Our store is decorated with local history and you will be greeted by our resident hardware dogs, Abby and Ellie. We look forward to meeting your project needs big or small.